Dave Grohl has got to be one of the hardest working guys in music. If he isn’t recording or touring with Foo Fighters, he’s got some other side project going on. I’ve always felt Foo Fighters were a good band. One of the best to spring out the ’90s in fact, but alternative rock isn’t even close to being a much-loved genre of mine so despite owning There Is Nothing Left to Lose (1999), One By One (2002) and the exhausting double disc In Your Honor (2005) I was never a HUGE fan. Though they weren’t bad albums, I began to lose my interest with the two albums following There Is Nothing Left to Lose so I didn’t even bother to pick up 2007’s Echoes, Silence, Patience & Grace. 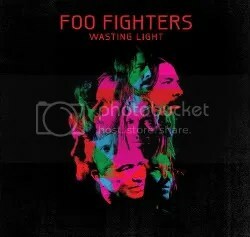 So why did I pick up Wasting Light? Purely by chance I caught the music video (YES — music video) on VH1 (YES — VH1) for “Rope” the Monday before the album’s release. I’ve always felt FF did a really good job at writing quirky yet catchy hard rock songs and “Rope” was no exception. I couldn’t get it out of my head so I ran to the computer to check out some reviews where I ran across one of my usual review sites and they said it was their best and most focused album yet. High praise considering their first three albums were all very well received. While there are a few songs that fall flat with me (“Dear Rosemary”, “White Limo”) for the most part this is the catchy alternative hard rock that the Foo Fighters are known for. 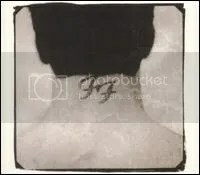 “Rope” is classic Foo, “Back & Forth” is one of the band’s better commercial sounding songs and “Arlandria” is near and dear to my own heart since I am a Virginia boy just like Grohl and “I Should Have Known” is a ballad that has got to be one of the band’s better songs. 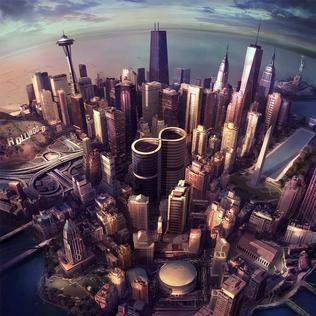 If you’ve never been impressed by the Foo Fighters, this album won’t win you over. But for the already converted? This is a much welcome return to form, so to speak. It certainly has reaffirmed my faith in the band and has got to be one of 2011’s best releases. Though the alternative scene has never been my preferred genre, Foo Fighters are one of the bands that stands far above the rest. This was my first Foo Fighter album (though I was familiar with their singles from their two previous albums) and probably my favorite. The first half of the album rocks the hardest, the second half for the most part slows down and gets a little too melancholy for me.